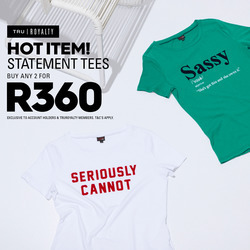 Add Truworths to your favourites! Truworths is a well known clothing brand specialising in stylish men, women and children's clothes suited to every occasion. Whether you're looking to purchase a beautiful suit for that special function, or simply need something comfortable to wear when you and you're out painting the town red with friends. Customers can also purchase a variety of the latest Truworths cell phones that are available on contract or as pre-paid service. Customers can enjoy their in-store shopping experience or choose to delight in the convenient Truworths online shopping experience. If it's quality you're looking for its quality you'll get with Truworths as well as a variety of beautiful fashion wear to meet all your fashion needs. Truworths began its successful journey way back in 1917, when it was also known as the Alliance Trading Company and later underwent a name change to Truworths Fashion House in 1935. The company steadily grew and by the 50's there was 80 stores nationwide and later in 1955 credit was introduced to the customers which was beneficial for the company and for the customers, with this introduction, the company's sales grew to R1 million in 1959. During the 80's the Truworths clothing company expanded and introduced more brands to its company such as Daniel Hechter in 1984, Inwear 1986, Truworths Man 1988, and several other stores linked to Truworths such as YDE, Naartjie, Uzzi and more. The company has grown and has more than 650 stores throughout South Africa and a further 40 stores throughout Africa and it is also listed on the JSE. If you need a great look for any occasion, why not stop by at your nearest Truworths store. Truworths Men caters for all your menswear needs, from shoes to accessories, all you need in men's clothes. Truworths Jewellery is made of the finest quality materials and makes a great accessory to finish any outfit. The company thrives at delivering a wonderful customer experience and to keep all shoppers happy at all times. Shoppers can also take the liberty of applying for a Truworths account to get those items you need most and be able to enjoy flexible repayments, the process of applying for a Truworths account is simple, simply speak to a consultant at the store or apply online. Truworths also believes in implementing sustainable initiatives to aid at environmental preservation and to grow local communities by providing opportunities for previously underprivileged South Africans. 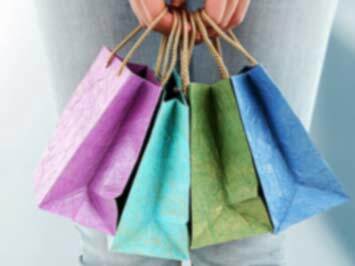 Do you want to receive more Truworths deals by email?